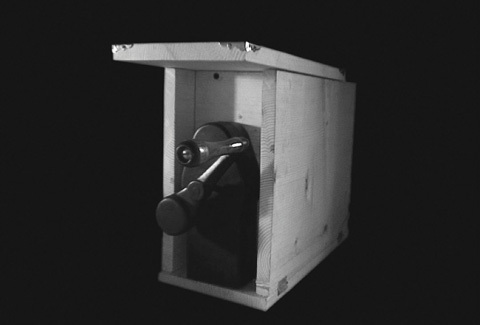 the wooden lightbox: a secret art of seeing is an exploration and reconfiguration of cinematic apparatus and emulsion. Using the early development of cinema as a marker for cultural, technological and economic change, these film cycles draw from turn of the century cinematic prototypes and long forgotten ideas surrounding the moving image and its early promise. At the core of this approach is the use of a homebuilt hand-cranked projector in an expanded cinema format to present a striking array of handmade and processed emulsion. The vast potential of the film frame is drawn out through imagery both archaic and contemporary in shape and form. Hypnosis, panorama, motion studies, expectation, magic, the dream world and sleight of eye conspire in this intimate and immersive framework. “...[MacKenzie’s] work often has an otherworldly quality, as if we were seeing images for the first time...his process allows for the re-entry of a sense of wonder, what theorist Walter Benjamin once referred to as the promesse de bonheur, or the utopian promise of technology that can only be reproduced through an artistic reinvestment in the hidden possibilities of a medium. Through his rediscoveries, MacKenzie takes us back to the birth of the moving image...” -Chris Kennedy, Strategies of the Medium III: In the Dark, Toronto (LIFT/Pleasuredome). Alex MacKenzie is an experimental film artist working primarily with relic analog film equipment and hand-processed imagery to create works of expanded cinema, light projection installation, and performance. His live media works have screened at the Rotterdam International Film Festival, the EXiS Festival of Experimental Film in Seoul, Lightcone in Paris, Kino Arsenal in Berlin and others. Alex was the founder and curator of the Edison Electric Gallery of Moving Images, the Blinding Light!! 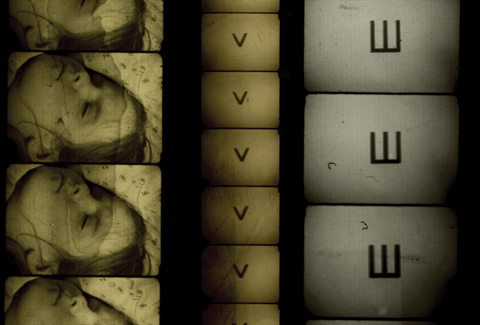 Cinema and the Vancouver Underground Film Festival. He was an artist in residence at Atelier MTK in Grenobles, France and Struts Gallery/Faucet Media in New Brunswick. Alex co-edited Damp: Contemporary Vancouver Media Art (Anvil Press 2008), and interviewed David Rimmer for Loop, Print, Fade + Flicker: David Rimmer's Moving Images (Anvil Press 2009).